I am a huge C.S. Lewis fan! 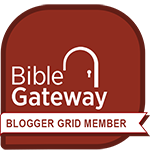 His perspective on the spiritual world is unequaled in any other author I have read. 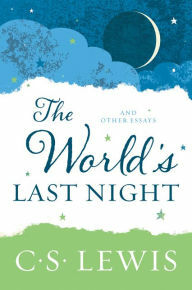 In The World’s Last Night, Lewis shares seven essays ranging from how our prayers really impact things, to life on other planets, to the end of our world as we know it. The title of this book (and the title of the concluding chapter) are taken from a question by John Donne: “What if this present were the world’s last night?” So all of Lewis’ essays are written from that perspective. If this is the world’s last night, why should we keep praying? If demons knew this was the world’s last night, why would they keep on tempting? If atheists knew this was the world’s last night, would they keep arguing the same way? As with all of his writings, C.S. Lewis has a unique knack of giving his readers a perspective that is totally original. His skills in philosophy, literature, and understanding the human heart are unparalleled! If you are ready to have your horizons expanded, these essays will not disappoint! Have you read other C.S. Lewis books? That’s a great book too! Do you like SciFi? If so, you would really like the space trilogy that Lewis wrote—Out Of The Silent Planet, Perelandra, and That Hideous Strength. I hear ya—I always have way more books to read than I have time to read. I, too, read almost exclusively non-fiction, with C.S. Lewis and Sir Arthur Conan Doyle being two of my exceptions. I hope you can work those space trilogy books into the rotation in the future: you won’t be disappointed! I loved the Screwtape Letters, as well as anything else C.S. Lewis has written! Great post! You can never go wrong with a C.S. Lewis book!